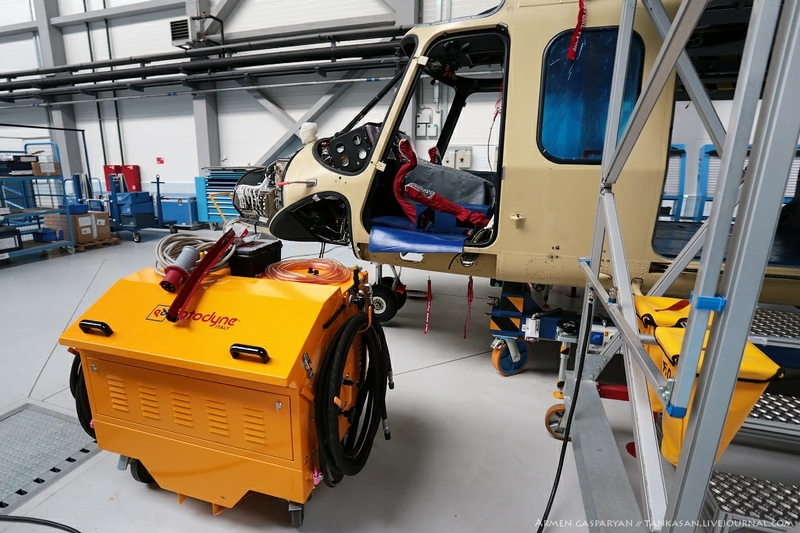 The joint company belonging to the holding “Helicopters of Russia” and AgustaWestland – Helivert is situated in Tomilino village of the Moscow region. Today we are going to become its guests. 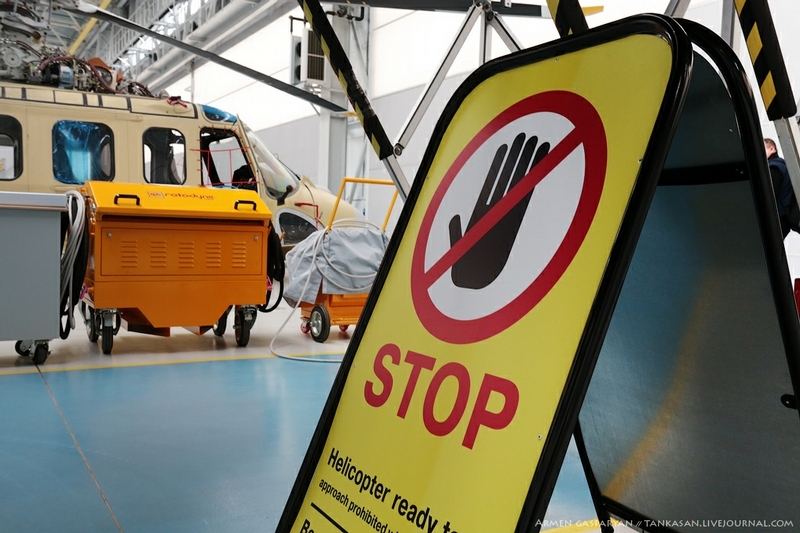 The holding “Helicopters of Russia” includes some companies such as “Moscow helicopter factory named after M.L. 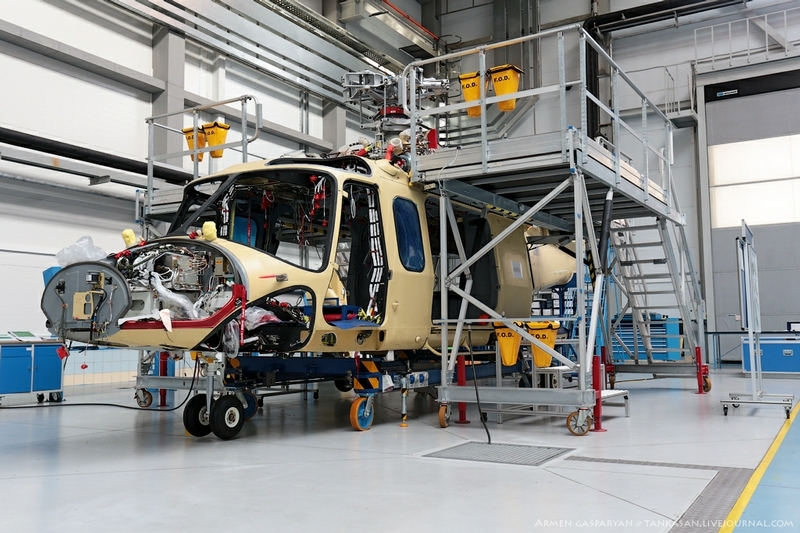 Mil”, “Kamov” JSC., “Helicopters of Russia”, “Helivert” etc. 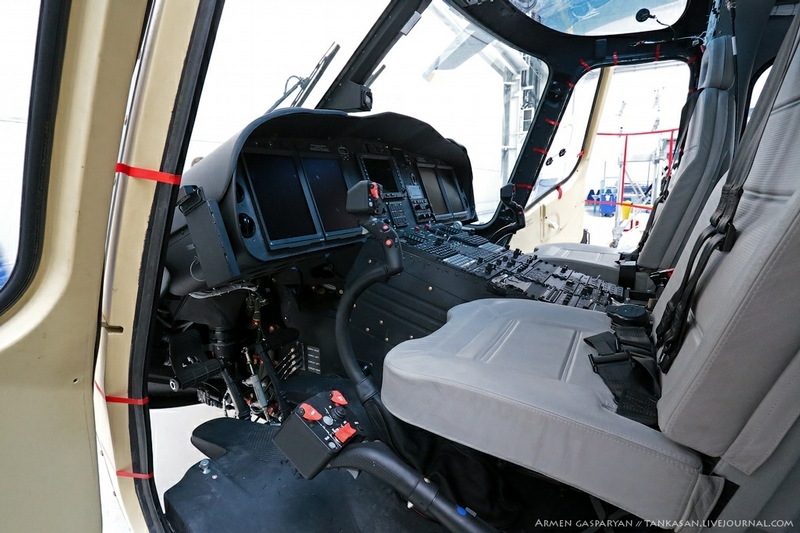 The company produces a medium civil helicopter AW139 designed by AgustaWestland which is in high demand all over the world especially for VIP flights. 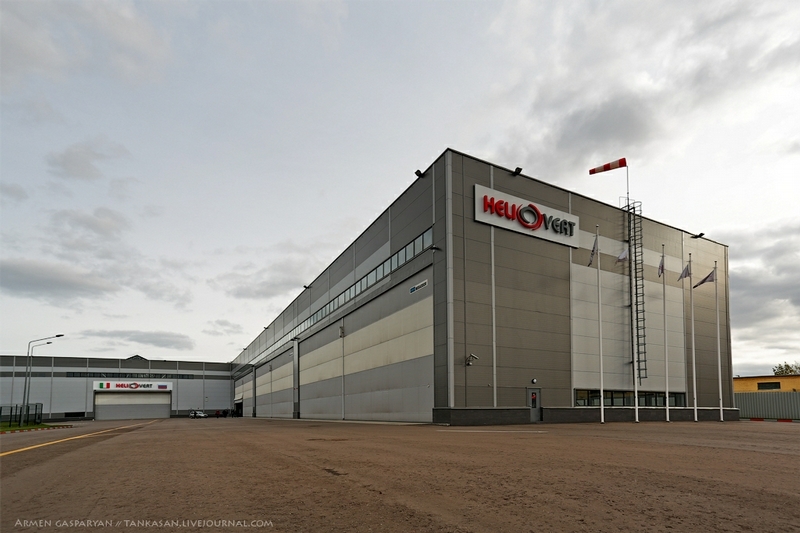 The factory occupies the territory of 40 thousand m2, it is equipped according to the latest modern technologies. 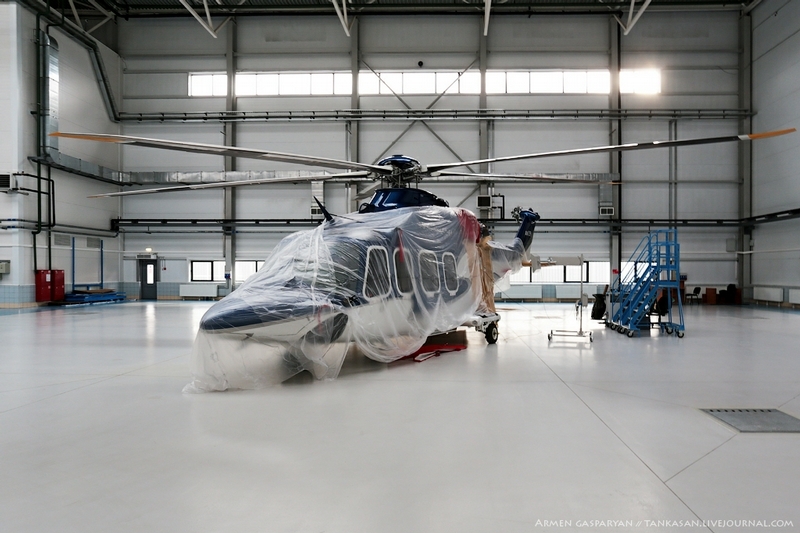 15-20 units of AW139 helicopters are expected to be made at the factory annually. 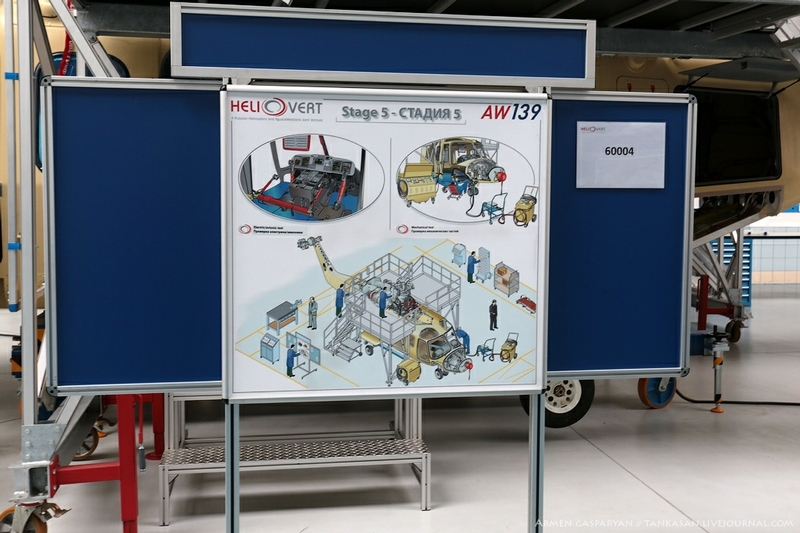 125 workers are employed today by “Helivert” company. 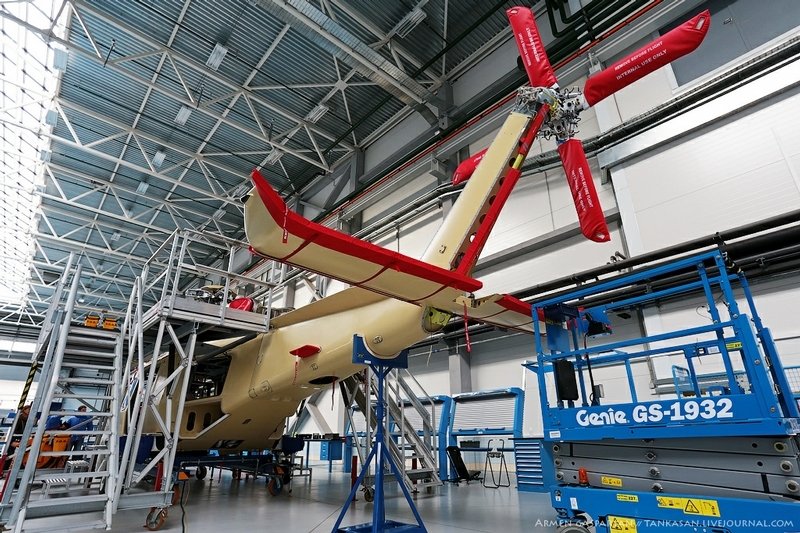 There are seven assembly areas in the shop (from 0 to 6). 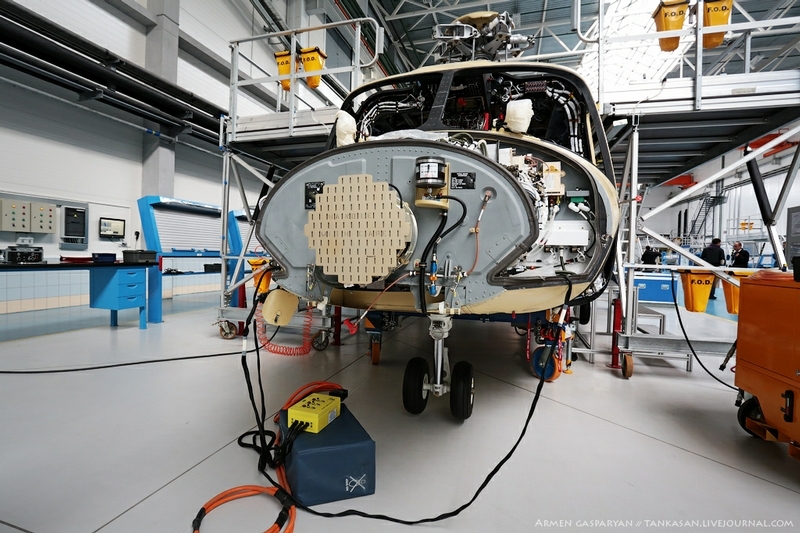 New technical solutions: the innovative system of hatches. 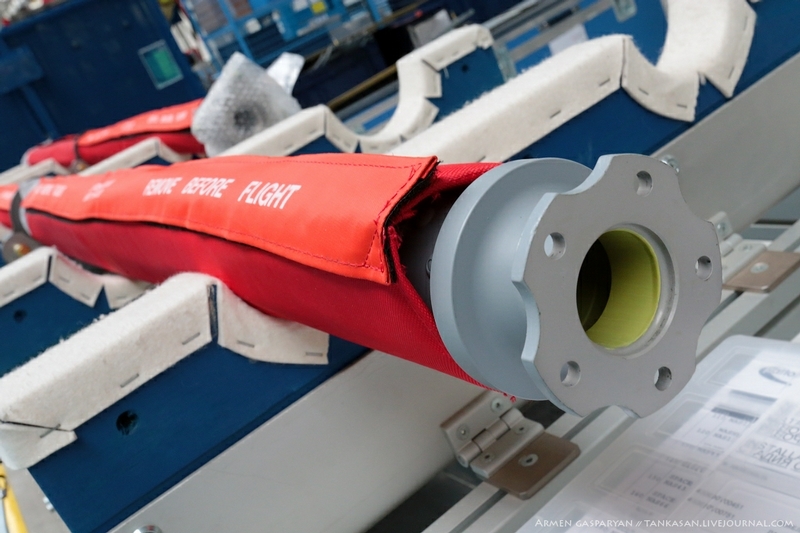 Here they mount fire extinguishers of propulsion sections, shelves for avionics, harnesses. 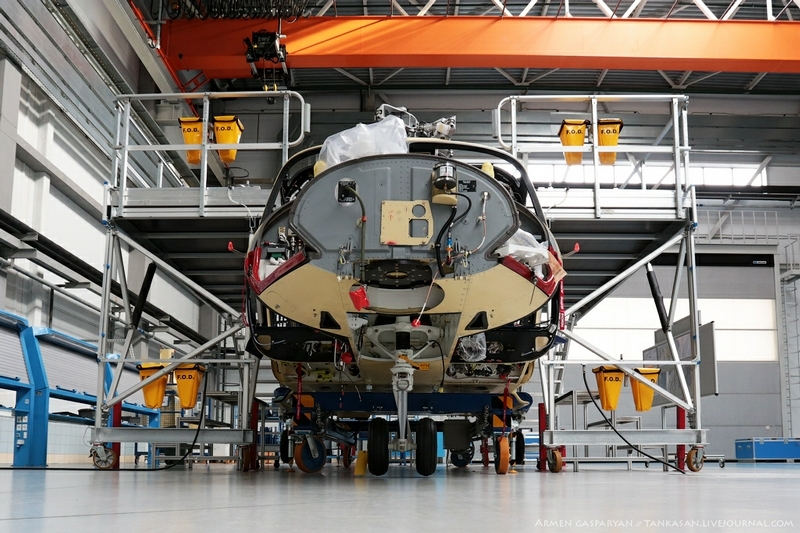 The area where they mount main landing gears, control panels, air conditioning and heating systems, flight control devices. The shops are very clean. Mounting engines, main gear box, tailboom. 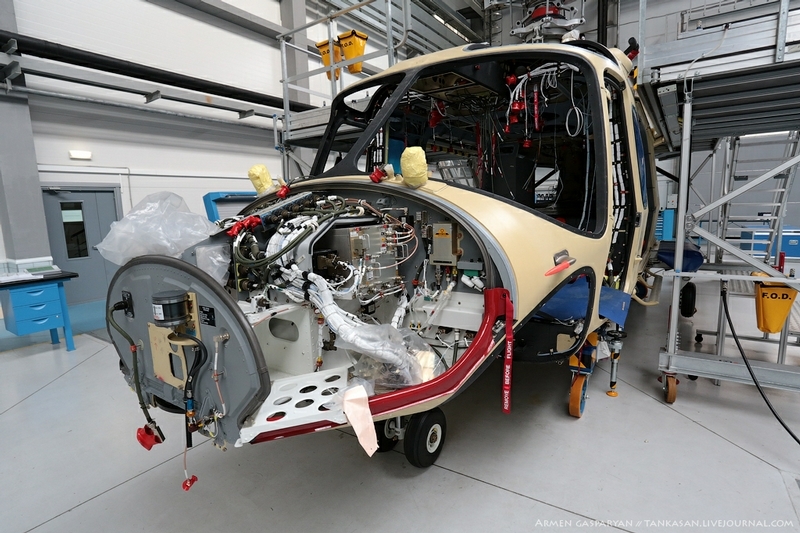 Next they check electrics, avionics and mechanical parts of helicopters. 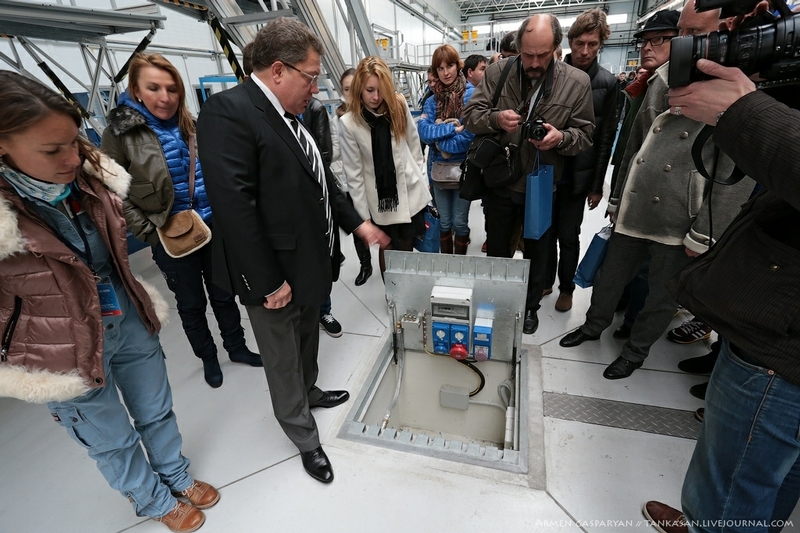 After assembly and transperancy they carry out a “water test” in a special zone. 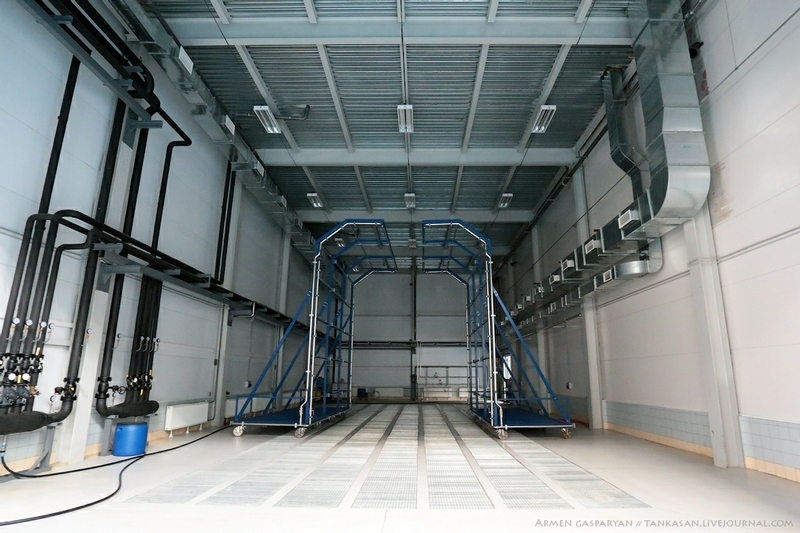 After the test an assembled vehicle goes to the paint-spraying room.